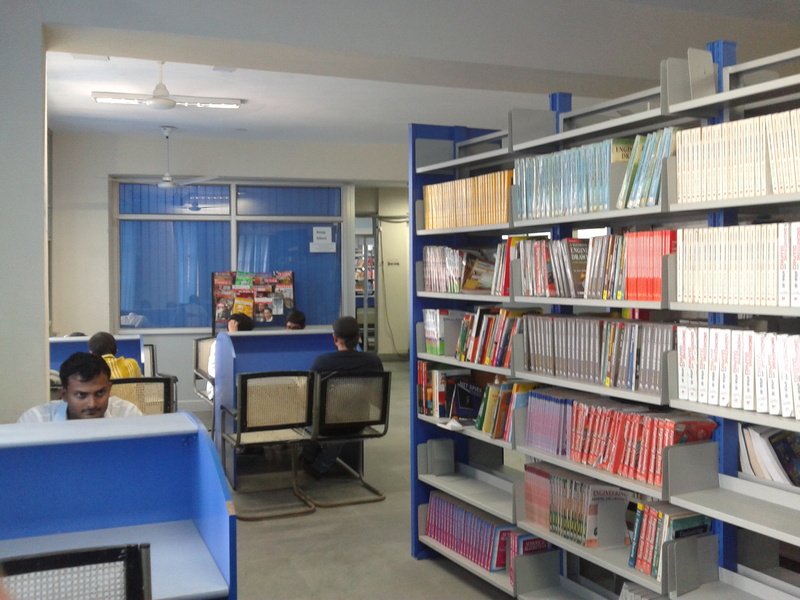 College library has around 20,000 books. It subscribes 45 printed journals, 28 Magazines and 04 E-journals. The Reference Section has 3000 titles of reference books. Library also subscribes to many Newspapers . The Library is open through out the year except on public holidays. The Library functions from 9:00 A.M. to 5:30 P.M. Any change in these timings is notified on the notice board. Due recommendation of HOD & Dean (Acad.) & the Principal is to be taken on the prescribed form. All members including faculty, non teaching staff and students are entitled to get six books issued. Six Library Tickets are issued to student members that entitle them to get six books issued for the duration of 14 days. Faculty & Staff are issued six books, however the record of the books issued is maintained in a separate register and no tickets are issued to them. Do not bring personal material like Personal books, brief case, bag or printed matter inside the library. Library tickets and books are non-transferable. Sub lending of Library ticket and/or library books may lead to cancellation of membership. Any change of College/Discipline/Address must be informed to the Library. Before borrowing the book check the condition of books & bring to the notice of the Library Staff in case any pages are torn. While returning the book, the borrower will be held responsible for the damage & liable to pay the money equal to the cost of book/ or replace the book. The Library Member will be held responsible in case of loss of book/library ticket. Report Loss of Library Card/Book immediately to the Library. In case of loss of book, the Member will have to deposit the cost of book or replace the book. One book is issued against one Library Membership Card. The Membership Card is returned only to the Member on return of the book issued. Membership Card may not be returned in case any problem is detected while returning the book. However, it will be returned when the case is settled. An overdue charge of Rs. 5/- per book per week will be levied for books returned after due date of return. Overdue charges shall be collected through printed Proforma & no receipt would be issued for it. The Library tickets are property of the library & hence need to be returned. Final Semester students or Staff member discontinuing services or on superannuation has to return all library tickets/ books and clear all dues to get a No-Dues Certificate. The Library members have direct access to shelves in stack hall. While books can be taken out freely, it should not be re-shelved by the member, to avoid misplacement of books. Cataloging has been done in the Library as perAACR2 (rev) scheme manually as well as in Excel for easy document access. On Line Public Access Cataloging is under active consideration. Library members should maintain silence inside the library. No conversation or consultation or discussion is allowed in the library.